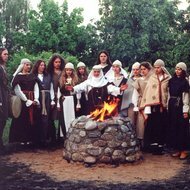 In Lithuanian, kūlgrinda means a secret stone-paved walkway under water across the swamp or lake, regarded in the old times as a sacred path of initiation. 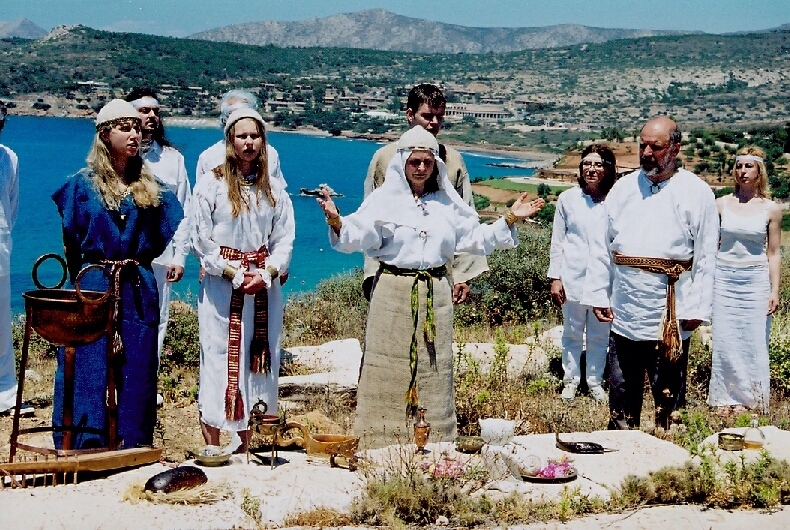 There's a comparable air of mystery surrounding the songs, hymns, sutartinės (ancient polyphonic folk songs), prayers and dances performed by this ritual folklore group, accompanied on drums, bagpipes or other instruments. 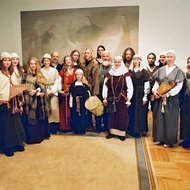 For their public performances the members of Kūlgrinda dress in traditional clothing, reconstructed from the 10th-12th century archaeological finds, wear traditional Baltic brass jewellery and woven sashes ornamented with traditional patterns. 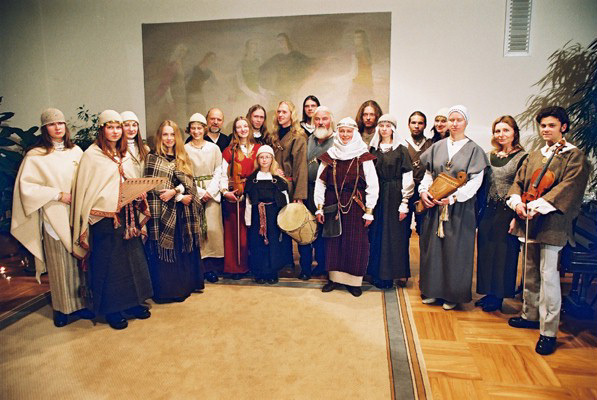 In recent years the group has recorded and released albums Rite of Fire (2002), Perkūno Giesmės (2003) and Sotvaras, a joint Christmas project with Donis (2004). 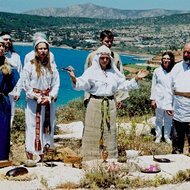 Their most recent CD Prussian Chants, released in 2005, attempts to revive the magic sound of long-extinct Prussian language. 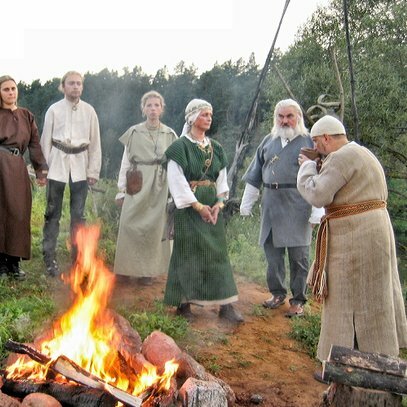 In Lithuanian, 'kūlgrinda' means a secret stone-paved walkway under water across the swamp or lake, regarded in the old times as a sacred path of initiation. 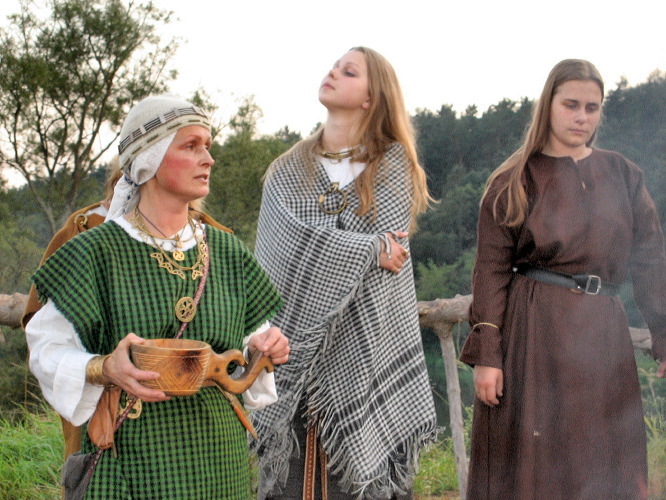 There’s a comparable air of mystery surrounding the songs, hymns, sutartinės (ancient polyphonic folk songs), prayers and dances performed by this ritual folklore group, accompanied on drums, bagpipes or some other instruments. 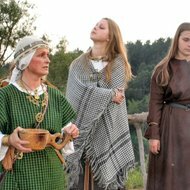 For their public performances the members of Kūlgrinda group dress in traditional clothing, reconstructed from the 10th-12th century archaeological finds, wear traditional Baltic brass jewellery and woven sashes ornamented with traditional patterns. 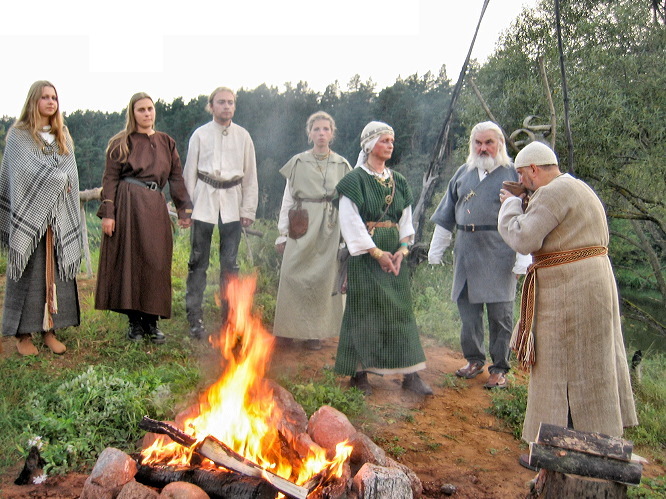 The founders of the Kūlgrinda ritual folklore group are Inija and Jonas Trinkūnas, leaders of the “Romuva” Baltic Faith Community and active proponents of the international movement for revival of native religions. 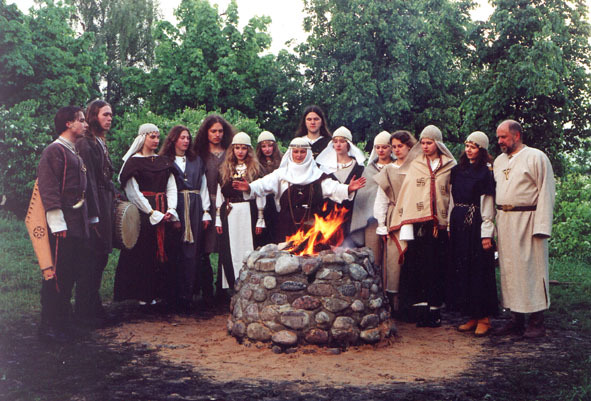 In recent years the group has recorded and released albums Rite of Fire (2002), Perkūno Giesmės (2003) and Sotvaras, a joint Christmas project with Donis (2004). Their most recent CD Prussian Chants, released in 2005, attempts to revive the magic sounds of long-extinct Prussian language.